Flowers are the most beautiful creations and gifts of nature, Flowers are of utmost importance in every sphere of human life. Flower arrangements of various designs and types are available for making various occasions of our lives more cherished. Flowers at weddings creates a fresh feeling and a sign of beauty and happiness amidst the crowd present at weddings de Goa we have a list of Wedding Florist in Goa that will enable you to design and decorate your occasions with love by pleasing your eyes with Fresh Flowers in Goa by turning your wedding moments into memories. 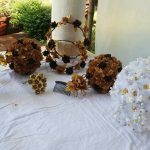 We have a list of Wedding Florists in Goa that provides flower decors at your Home,Church, Cars and Wedding Halls. 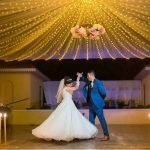 We also have a list of Florist in Goa that provide fresh Wedding flowers in Goa as bouquets for the Bride, Bridesmaids and Flower baskets for the flower girls. Fresh flower decors at home and church as well as for the Wedding car and the Wedding reception Venue we also have a list of Florist that deal in flowers used for Hindu Weddings also known as Laginns in Goa, Flowers to design the mandap,wedding car, temples and so.. So do not go wandering around for finding the best florists in Goa, You just need to browse on Weddings de Goa and choose the best and the one that best fits your budget at some clicks on your digital device.